Like a tropical storm touching down on land, addiction leaves destruction and pain in its path, laying waste to lives, fortunes, health. But one of the most profound losses lies in our propensity to see the addict AS his addiction, a gruesome, scary force that holds no value but to wreak havoc and devastation. Challenging though it may be, discerning the difference between the addict and his disease is crucial to supporting the addict in moving toward, and through, recovery. In our achievement-oriented culture, it’s alarmingly easy to equate the behaviors exhibited by an addict as commensurate with his worth. After all, we seem to value the corporate CEO above the homeless youth, the six-figure salary over the minimum wage paycheck. We may assume that the addict, due to his choices, is not deserving of respect or consideration due to those who attend to others’ feelings, or try to live with integrity and honesty. But addiction steals the compassion, mutuality and commitment that were once available to the addicted person, crippling her with a disease that will crush and suffocate her with its progressive nature. We must strive to choose for the courage necessary to separate the sufferer from the source of suffering. Balancing compassion with accountability is a delicate dance, and one that often feels like walking a tightrope. But we serve ourselves and the addict in remembering that, beneath the outrageous behavior and risky choices, lies a precious spirit trapped by a disease intent on victory at any cost. Dignity, worth and respect are due every human being, even those who denigrate themselves. Seeing the humanity, the innate value, within the person struggling with addiction, is our responsibility and our privilege. When we can look past the behaviors and really perceive the human within the grips of addiction, we help loosen the bindings of shame that trap the addict in his suffering. Our willingness to see the sameness we share can pave the way to rebuilding and new growth. 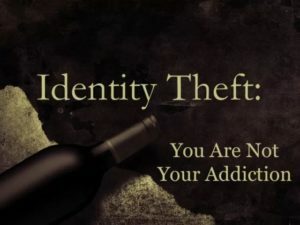 I appreciated this article as I completely concur with the overall message that one’s addiction does not define their identity, uniqueness, strengths or human spirit. I found the message to be very well articulated and compassionate in a way that I hope will be eye-opening to many. We live in a society that tends to promote judgement; it isn’t necessarily the fault of those who fall victim to it, however, developing awareness is essential to change & human growth & the message in this article will hopefully reach others gain a different perspective on an admittedly difficult topic.. I have always stated… “Addiction does not discriminate.” No one benefits from becoming overly comfortable or prideful that “it couldn’t happen to them.” By remaining humble and as you emphasize, separating the illness from the person and their soul is an essential gift that I truly believe everyone is deserving of. And I could not agree with you more that it is a privilege to offer a broken spirit compassion and hope along with acceptance. It is possible to be empathetic and still maintain boundaries that promote wellness. Thank you for posting this. It’s a fabulous testimony that clearly demonstrates how much your practice truly cares for your clients.